A Bahrain court on Sunday dissolved the main Shi’ite opposition group al-Wefaq and liquidated the group’s funds, media in Bahrain and neighbouring Saudi Arabia reported, deepening a crackdown on dissent in the U.S.-allied Gulf kingdom. The group’s funds would be claimed by the state treasury, media organisations reported. Bahrain’s opposition al Wasat newspaper reported that the court found that the group’s political activities had “deviated” towards incitement to violence and the encouragement of mass protests and sit-ins that could lead to sectarian strife. Bahrain has a majority Shi’ite Muslim population but a Sunni-led government, mainly drawn from the ruling al-Khalifa family. The ruling by the administrative court follows the authorities’ closure of Wefaq in June and revocation of the citizenship of a top Shi’ite cleric, moves that human rights groups say are part of an attempt to crush the opposition. The government has been rattled by opposition calls for major reforms, including a demand for a cabinet chosen from an elected parliament, and by a deep financial crisis that has forced it to cut subsidies and increase basic prices. 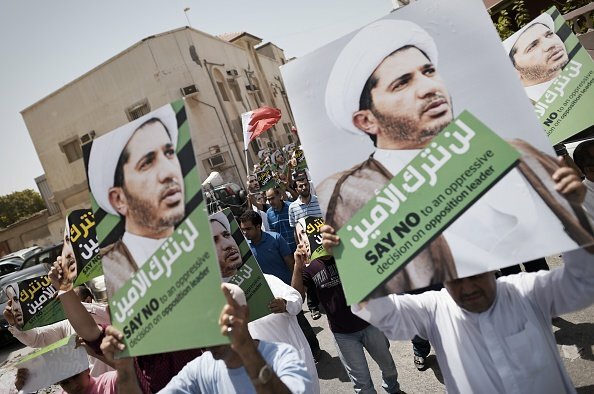 The crackdown also follows a diplomatic row between Bahrain’s main Sunni backer, Saudi Arabia, and Shi’ite power Iran. The rift has grown wider since Iranian demonstrators, angry at the execution of a prominent Shi’ite Muslim cleric in Saudi Arabia in January, ransacked Saudi missions, prompting Riyadh and Bahrain to sever diplomatic ties with Tehran.